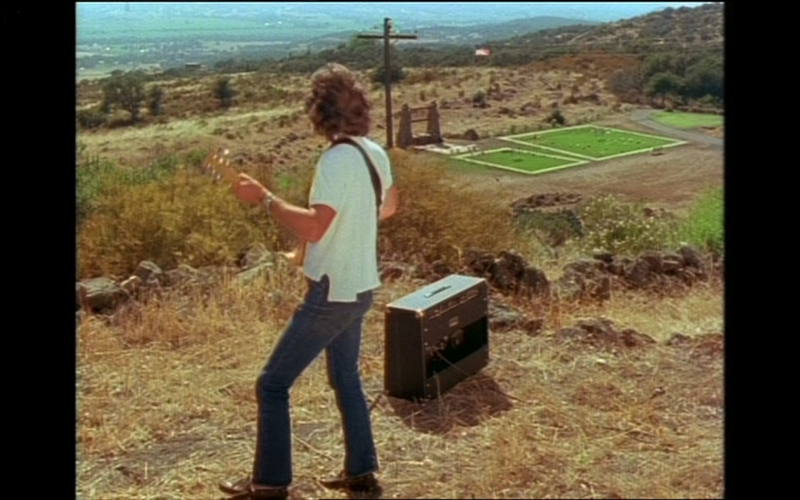 Gates Of Heaven is the greatest film ever made about pet cemeteries, of that there is no doubt. It is also the most illuminating and movingly poetic documentary ever committed to celluloid - transcending its narrative focusing on the business of the burial of pets, Errol Morris' groundbreaking work is an elegiac meditation of pathos, irony, dignity and love. For a film supposedly about dead animals, Gates Of Heaven is cinema's greatest reflection on the human soul, showing us what it is to be human, what is is to live, what is to love. In may ways, what David Attenborough is to nature, Errol Morris is to people - an anthropologist who, armed only with his camera and an astute understanding of the human condition, sculpts films which help us understand ourselves and the world around us, our place on Earth, and indeed our place in the universe when we have expired. Yet, rather unlike the British documentary maker, Morris is less concerned with explaining the actions of his subjects; Gates Of Heaven is a feature in which the characters, everyday people, spend most of the time looking inwards and giving their own philosophies of the world and their thoughts on mortality. Without the polished tongue of a scripted monologue, Morris' subjects wonder aloud about the meaning of life, the nature of unconditional love, and loneliness with a gentle dignity - the results are fascinating, heartbreaking and often packed with unpredictable wisdom, profundity, melancholy and gravitas. One subject states how humans are ultimately unknowable and untrustworthy whereas his dog will always be loyal and faithful: "Human beings cannot be this way" he elegantly summarises, his answer reflecting a life failing to find someone who could show him the devotion and unwavering affection of his pet. The film takes it title from a line spoken by Scottie Harberts, whose husband runs the Bubbling Well Pet Memorial Park: "Surely at the Gates Of Heaven an all compassionate God is not going to say, well, you're walking in on two legs - you can go in. You're walking in on four legs - we can't take you." The line itself is representative of a film which sees animal lovers trying to frame their position in this life, and the next, in relation to their pets; the starting point for the film is domesticated animals, but it is nothing but a springboard for Morris and his subjects to examine the universe, to ponder existentialism. In one moving sequence, Morris shows a silent montage of pets' graves and their inscriptions, one of which read: "I knew love - I had this dog". Seeing this film gave me similar feelings. I know love - I saw Gates Of Heaven.